72,27 € прибл. 5.201,41 руб. 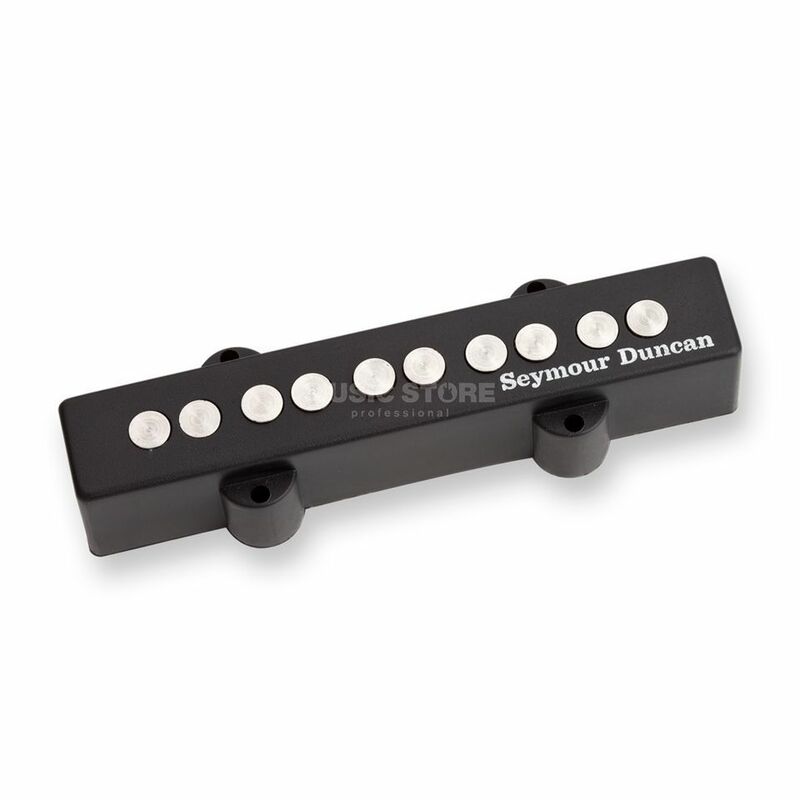 The Seymour Duncan Quarter Pound J-Bass SJ5-3N Single Coil Pickup is a single coil pickup for 5-string bass guitars, featuring 1/4" alnico V magnets, an extra hot coil, high output, and is designed for the neck position. The 5-string Quarter Pound Jazz Bass bridge pickup with alnico V rod magnets delivers all of the attitude you could ever want from a Jazz Bass. Seymour Duncan's QP Jazz Bass powerhouse pickup goes one step further with extended range and a hotter output. This pickup features authoritative attack, vintage feel, and an overall sweetened tone. The quarter-inch alnico pole piece magnets, together with a custom over-wound coil provide a full response with great string sensitivity. You get the higher output of an overwound coil, with the articulation and detailed high end of a vintage pickup. This neck pickup is wound RWRP so that when used together with the Quarter Pound 5-string bridge pickup, will be hum-cancelling. Coming with a black cover, this pickup is hand built in Santa Barbara, CA.